We are used to seeing the Jordan SC-1 in Jordan Brand’s monthly lineup of shoes. This July 2013, we will still have a new colorway of this kick, but this time in a low-cut edition. 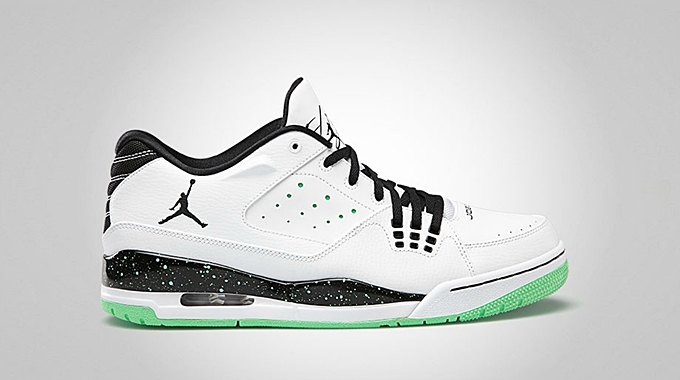 The Jordan SC-1 Low will hit the market for the first time in White/Black – Green Glow colorway. The shoe features a white upper part with black lining, laces, Jumpman branding, and cement area with green glow hints. This definitely looks simple, but this is definitely a must-cop this month.